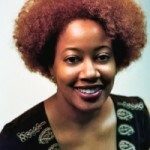 Today’s guest is N. K. Jemisin, one of my favorite newer authors! Her debut novel, The Hundred Thousand Kingdoms, put her on my list of authors whose books I definitely must read. The very first page grabbed my attention, and it kept my attention due to an absorbing storyline, a strong and engaging narrative voice, and interesting characters. I also loved that themes like race, gender, and religion were woven seamlessly into the story. 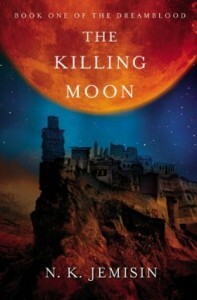 Since then I’ve devoured the rest of her Inheritance trilogy and now I am eagerly anticipating the release of the first book in the Dreamblood duology, The Killing Moon. 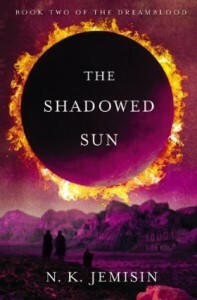 It’s coming out next month with the sequel, The Shadowed Sun, following close behind with only about a month in between. 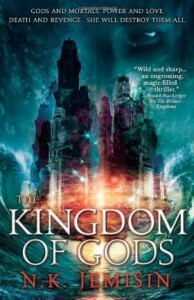 I was very excited that N. K. Jemisin agreed to write a post for this month since I think her own blog posts are very thought-provoking and insightful. When I finished reading the guest post she sent me, I thought it was amazing and I’ve read it several times since then. I don’t think I can do it justice by trying to introduce it so I will just insist you read it! Hi, my name is Nora, and I am sexist. I remember the day I first noticed my own sexism. I was eleven years old. I know this because it was 1983, the year Steven R. Boyett’s novel Ariel came out. I spent most summers in New York with my father back then, and while those were lovely, creativity-filled times — Dad’s a visual artist, I’m a writer; we’d spent entire days just sitting around making stuff up — I also loved to read. Dad would take me to the nearest bookstore and turn me loose, although with a strict limit in place because otherwise I would buy the store. Ariel was one of my first great finds. But I did what I could to reject the GIRL box whenever I could. 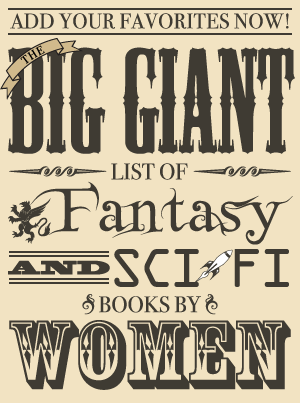 To that end I’d started reading science fiction — but never fantasy, because fantasy was girly. It was full of horses and sparkly stuff and frufru magicky shenanigans, not hard, rigorous science like FTL and Martians and alien planets that just happen to contain independently-evolved human life. * Fantasy was full of women in scraps of stupid-looking armor, being rescued or having relationships or healing people or something. Science fiction was full of men going places and doing things. By the way, yeah, it’s totally possible for an eleven-year-old girl to be sexist. You don’t have to be a man to hate women and fear all things feminine. You don’t even have to do it consciously. Living in a sexist society is kind of like living in a sewer; no matter how careful you are, you’re always gonna stink. Most people won’t notice the smell, though, because they’re covered in crap too. This was my parents’ problem. They’d been trying all along to introduce me to aspects of girliness they felt were positive and empowering, and I’d rejected those. In an ideal world, they would’ve recognized that my own attempts to express my femininity were just as valid as the ones they valued. There’s no logical reason to think horses or cats are any more “for girls” than snakes, after all. But most of us never have that moment when we stop and look around and think about the irrational, hateful crap we’re swimming in. Thinking is key. We can see the impact of unthinking, unquestioned sexism in every “best of” list that contains no women. In a logical world it would be poor judgment at best, utter stupidity at worst, for anyone to declare something “the best” if they’ve ignored half of what’s out there — but this happens all the time in the fiction world. Thoughtless, unquestioned sexism is also behind the bizarre dynamics of book reviews, which are dominated by men even though the majority of book buyers are women. It’s there whenever someone calls fantasy “soft” and science fiction “hard,” with the implication that these correspond somehow to intrinsic qualities of women and men. It’s there in every call for more “boy books” in children’s fiction to address the fact that boys won’t read books about girls… as if it’s right for boys to be so misogynistic, so young. And girls, note. Girls also learn to hate and fear themselves, if we’re not careful. So I bought Ariel, which turned out to be a magnificent book — kickass adventure, lots of purpose and toughness and swords and hang-gliding and postapocalyptic war. Yes, in a book with a unicorn on its cover. But it also contained an incredibly touching love story — yes, in a book with a boy on its cover. This intrigued me. After that I went on to read other things that, once upon a time, I would never have touched. I read them consciously, intentionally, because it annoyed me that this bizarre fear of girliness had almost made me miss out on something good. Next came more sparkly horse books, like Mercedes Lackey’s Last Herald-Mage trilogy. Science fiction written by women, like Anne McCaffrey’s Pern novels and Jane Yolen’s Cards of Grief. (But the first McCaffrey I read was her short story collection called Get Off the Unicorn. Can you guess why?) Science fiction by men that was chock full of girliness (David R. Palmer’s Emergence is a fave). More fantasy novels, by women and by men, which defied my sexist expectations (like C. S. Friedman’s Coldfire trilogy and Storm Constantine’s Wraeththu trilogy). And more. For awhile I even went way to the other end of the continuum, avoiding books that fit my sexist expectations. Didn’t touch Tolkien ’til my mid-twenties, for example. I needed a little positive discrimination to find balance. Now in my doddering old age — as my eleven-year-old self would’ve considered the thirty-nine-year-old me — I’m moving toward the middle. Now I read books because they’re good, not because of who wrote them. But since I’m still a sexist — hi — I have to be careful. There’s still something within me that equates “good books” with “written by men”. So whenever I acquire new books, I have to think about who wrote them. I have to ask myself whether a book is really good, or whether I’m giving it a pass because I think the author is male. I have to wonder whether I’m judging a bad book more harshly because I think the author is female. I have to stop myself when I pick up books by men, and ask myself when was the last time I read a woman. And I have to make myself pick up that book with the sparkly unicorn on the cover. I have to remind myself that the unicorn will not hurt me. There is no reason to fear it. In fact, if I’m lucky, it might just turn out to be awesome. To learn more about N. K. Jemisin, visit her website where you can also find her blog and other thoughtful posts like this one. You can also follow her on Twitter.